In the summer of 2017 Kit Yan, MJ Kaufman and Cece Suazo met at WP Theater. The three had come together to discuss the possibility of creating some kind of program to support early career trans theater artists. They were tired of seeing trans stories told without trans writers, directors, and actors. They wanted to see more trans playwrights' work produced, more trans directors hired, more trans actors cast in every play. They also wanted a space to develop trans theater community, where artists could support each other, share resources and inspiration, discuss creative languages for trans experience. Through a series of meetings and phone calls with other trans theater artists they came up with a model for the first year of Trans Lab Fellowship. In this initial round the program will support four early career playwrights or writing teams and two directors. Over the course of a year the fellows will meet monthly, share work and participate in professional development. At the end of the year the lab will hold a festival of readings to share new work by the fellows. Trans Lab is facilitated by MJ Kaufman, Kit Yan, and Ada Karamanyan. MJ Kaufman is a playwright and devised theater artist working in New York and Philadelphia. Their work has been seen at the Huntington Theatre, New York Theater Workshop, the New Museum, Clubbed Thumb, New Georges, Page73, Colt Coeur, Yale School of Drama, Lark Play Development Center, Bay Area Playwrights Festival, Aurora Theater, Crowded Fire, Fresh Ink Theatre, New Harmony Project and performed in Russian in Moscow. MJ received the 2013 ASCAP Cole Porter Prize in Playwriting, the 2013 Global Age Project Prize, and the 2010 Jane Chambers Prize in Feminist Theatre. MJ is a graduate of the Public Theater's Emerging Writers' Group, a member of the WP Theater Lab, and a resident playwright at New Dramatists, and a member of Colt Coeur. Originally from Portland, Oregon, MJ attended Wesleyan University and received an MFA in playwriting from the Yale School of Drama. MJ has co-curated the 2016 and 2017 Trans Theater Festivals at The Brick. Kit Yan (Playwright/Poet/Performer/Lyricist) is a Yellow American New York-based artist, born in Enping, China and raised in Waipahu, Hawaii. Kit is a self-taught playwright learning their craft by talking story with elders/family/friends, kanikapilas (backyard/beachside jam sessions), collaborations, and by watching queer/trans/poc art in bars, lounges, poetry readings, subways, sidewalks, living rooms, and anywhere artistic magic and power exists. Kit’s work is a dreamspace where queer and transgender subjects can time travel in order to witness, remember, and heal our herstories. They hold writing as a portal into the borderless ancestral past, the puzzle pieces of an imagined future, and a lifeline back onto this earth. Here, we can ground, explore, and discover stories on our own terms—messy, ugly, and wholly beautiful. "My dreams lead me to write about the fractures in my life and this world, the times I fucked up, the times I was held accountable by my family and communities, the times of collective struggle on a path towards collective liberation. Above all else, I write about queer love smashing racism, patriarchy, and systemic oppressions." Ada Karamanyan is a casting director and theater administrator based out of New York City. Her casting work has included productions at ACT - A Contemporary Theatre, Milwaukee Repertory Theater, Arizona Theatre Company, New York Musical Festival, and Hunter College. She was the casting fellow at New York Theater Workshop during their inaugural 2050 administrative fellowship program in 2017-2018. Current projects include casting for The Playwrights Realm, and the upcoming Play On! (OSF) festival scheduled for June 2019. 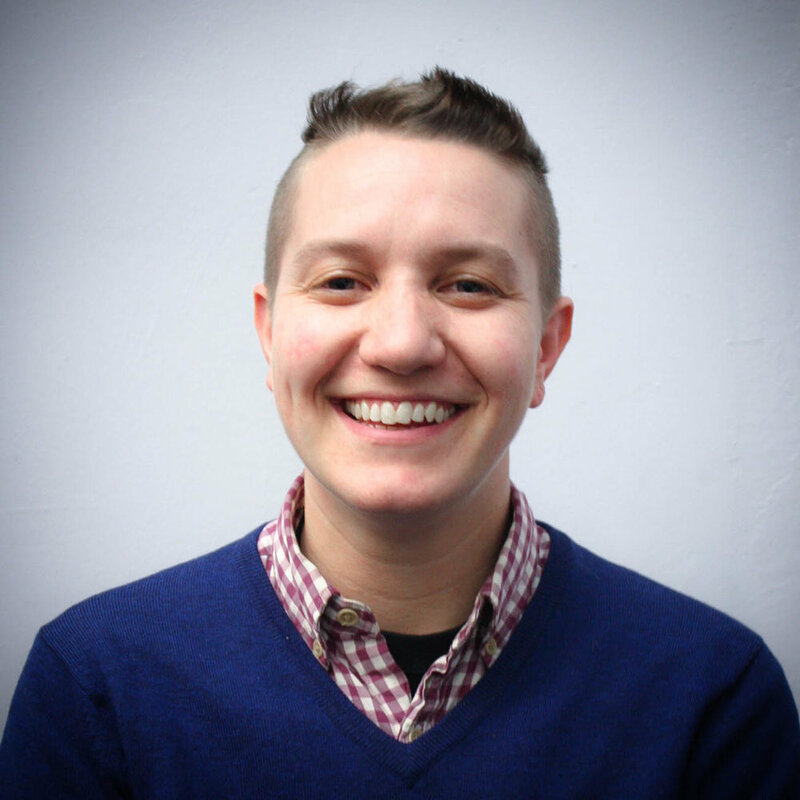 In addition to casting, she serves as a Producing Artistic Leader with Trans Lab. Sign up to receive news and events.